Avenue Art Days is a Douglas Design District initiative aimed at harnessing young, creative talent in Wichita to improve the aesthetic of Douglas Avenue and surrounding areas. From park benches to trashcans, light poles and crosswalks, even private property… Avenue Art Days is bringing color and giving a voice to artists and designers in Wichita. Since 2015, Avenue Art Days has held two events, which included hundreds of volunteers, gaining the attention of the entire city, from news outlets of every kind to the people that drive, bike, or walk through the district every day. 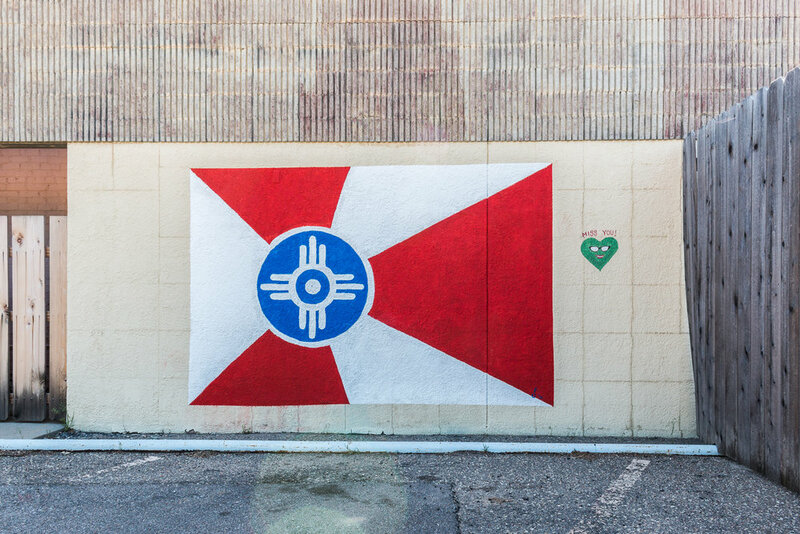 It's no secret that Wichita has a perception issue, but we're out to change that! To see all the murals and artists, and to find out more about Avenue Art Days, visit www.AvenueArtDays.com.